Empowering Next Generation Networks . Building Next Generation Data Centers, Infrastructure and Cloud. 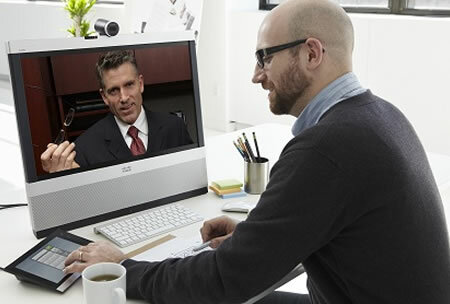 Expertise in Unified Comm, IP Telephony and Video Conferencing. Specialized in Video Surveillance and IT Security. GULF SOLUTIONS focuses on designing, consulting, building and implementing end-to-end solutions for the high-speed and next generation Networking infrastructure; Data Centers and Broadband access. We love to meet with new customers every day, We know that customers face new challenges every day... and we love helping design solutions to overcome them. We have extended our product portfolio & solutions and continue to develop new and better ways to provide solutions to meet the requirements and demands of our customers to help them solve their business challenges. GULF SOLUTIONS prides itself in being able to keep pace of demands of Telecommunications & Information Technology in the Kingdom Saudi Arabia; persistently, offering the very latest technology products and services for the SMB, Commercial, Mid Market and Enterprises since 1999. Providing Total Solution from Infrastructure to User Devices. Each situation (and company) is unique. One-size-fits-all approaches will never help your business reach its full potential. Custom solutions take advantage of opportunities that your competitors can't. That's what we deliver to you. When we work with you, we roll up our sleeves and become your business partner. Our success is measured by the success of your company. That's why we invest whatever resources are needed to get and keep your business on the right track. Our competitive edge is our positioning as strategically with our partners; by building a business based on long-standing relationships with satisfied clients, the longer the relationship stands, the more we help our clients understand what we offer them and why they need it. Gulf Solutions is a leader in providing best of breed unified communications, Collaboration, Infrastructure, Data Networks, security, Storage and Data Center Solutions. Raised floors, Cabinets, Electrical & Backup power, cooling systems, fire protection, security, Environmental control and Structure cabling. Core Switches, Edge Switches, IS Routers, UCS Servers, Network Management and Load Balancing. Fiber Optics & Cat6 cabling, connectors, patch panels, splicing, Terminations, Patch Cords, conduits, Labeling, Cable Management and Enclosures. Unified Communications, IP phones, Video Conferencing & Collaboration, Telepresence, Contact Center, IVR, messaging system, Applications. OS, Virtualization, email Servers, Cloud Applications, Data Recovery, Archiving & Backup, Management Systems, content management, messaging and collaboration systems. SAN, NAS, Backup Solutions, Archiving, Virtualization, Disaster Recovery, Online Storage. Network Recovery Center, Centralized NMS, Firewalls, Encryption, Authentication, VPNs, Policy Routing, Content Security, Anti virus, Application visibility & control, Integrated IPSr. Indoor/Outdoor IP camera, recording systems, Integration into remote and complex IP networks, Security Convergence, Multi site video management software. indoor & outdoor Enterprise WiFi Networks, Smart WiFi, Mesh Networks, Access Control Systems, Wireless Security, Point to Point Networks. Gulf Solutions is a leading Information Technology, System Integrator, Consulting and Project Management Service company that delivers solutions to enable its clients do business better. We are committed in helping our clients to create successful and adaptive businesses.